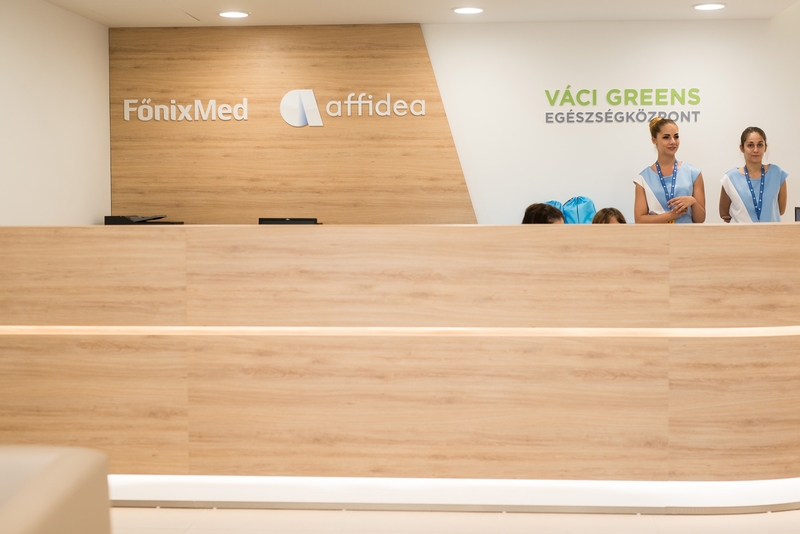 Amsterdam, February 6th, 2018 - Affidea Group, the leading European provider of diagnostic imaging and outpatient care services, announces that it has successfully completed the acquisition of Főnix-Med, an important Hungarian corporate healthcare and retail outpatient service provider. The addition of Főnix-Med to Affidea's network marks a significant milestone in Affidea’s strategy of expanding high quality outpatient care services at the European level, in this way offering patients a wider access to the excellent medical services, always aiming to improve its services to patients. The deal also cements Affidea’s place at the forefront of the Hungarian private health sector, rounding out its comprehensive service portfolio of diagnostics imaging, outpatient care and corporate healthcare, in this way servicing daily over 100,000 employees of several hundred large and medium-size companies in Hungary. Through this acquisition, Affidea’s international network will include 237 centers all over Europe with 7700 professionals, of which 1100 in Hungary, while the addition of Főnix-Med will bring 100 countrywide units for corporate-health services to Affidea's diagnostic imaging centers. Affidea (www.affidea.com) is the leading Pan-European provider of diagnostic imaging and outpatient care services, operating in 16 countries across Europe, with a focus on delivering timely, through diagnoses and high quality treatments by working only with state-of-the-art technology and experienced medical professionals. The Affidea Group employs over 7700 professionals and operates over 1200 diagnosis and cancer care modalities with more than 10 million diagnostic examinations every year. Affidea is owned by the trusts and funds associated with the Bertarelli family, which are managed by Waypoint Capital (www.waypointcapital.net). Főnix-Med is a leading Hungarian corporate healthcare service provider with 600 employees, two outpatient centers and 100 countrywide units for corporate-health services. The company services daily over 100,000 employees of several large and medium-size companies in Hungary. The cooperation between Affidea and Főnix-Med started 10 years ago. This partnership entered a new dimension in the summer of 2017 with the inauguration of Váci Greens Health Center, a joint project offering preventive screening, state-of-the art diagnostic imaging and outpatient care in 16 different specialist areas to corporate and private clients. Affidea Diagnosztika Kft, the Hungarian subsidiary of Affidea, operates 12 diagnostics centers in the country, employs 500 people, including one-sixth of all radiologist specialists in the country. Affidea in Hungary performs around 1 million diagnostics examinations every year.